UCF is hosting a series of events and initiatives in honor of the 30th anniversary of Eatonville’s ZORA! 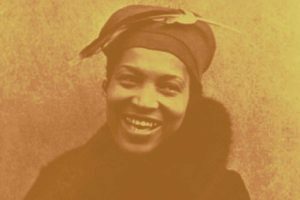 Festival and to help celebrate the life of author and anthropologist Zora Neale Hurston. The university’s celebration, “The Year of Zora Neale Hurston and the Historic Eatonville Community,” features lectures, art exhibits, a TV pilot and other activities. UCF has been a supporter of ZORA! Festival since its beginning and this year wanted to commemorate the anniversary by sharing Hurston’s story in a variety of ways. The African-American author grew up in Eatonville and included the community as the setting for many of her stories in the early 20th century. Graduate student Jason Gregory’s TV pilot Waking Up White. Gregory’s story follows a black family that wakes up one day to find they are white. They then have 30 days to decide whether to return to their cultural roots or stick with the skin they are in now. The show will be presented Jan. 28 at 11 a.m., 12:45 and 2:15 p.m. in the Eatonville Town Hall, 307 E. Kennedy Blvd. The 13th annual Collegium for African American Research, an international gathering of scholars, will be hosted Jan. 30-Feb. 2. The event is to showcase pioneering work in the fields of Black Studies and African Studies. UCF’s College of Arts and Humanities is hosting the conference, which is being held for only the second time outside of Europe. The UCF Department of History exhibit, “Zora Neale Hurston’s ‘Native Village’: Historic Eatonville Remembered,” is on display through February in the John C. Hitt Library. The exhibit explores Hurston’s anthropological research into the people, history and culture of Eatonville. The display was curated by Professor Scot French. A UCF Public History-sponsored exhibit, “Why Not Us? The Association to Preserve the Eatonville Community – The Early Years, 1987-97,” curated by French and featuring original historical research by graduate student Gramond McPherson, will be on display at the Zora Neale Hurston National Museum of Fine Arts, through Aug. 3. The Common Read Program, developed to build a sense of community at the university, selected Hurston’s autobiography Dust Tracks on a Road to read this year. All freshmen students received a copy at their summer orientation. Dr. Anna Lillios in the Department of English created a reading guide for students and faculty to use through the year. Simon Dickel, author of “Black/Gay: The Harlem Renaissances, the Protest Era, and the Constructions of Black Gay Identity in the 1980s and ’90s,” has been a visiting professor this year for guest lectures, workshops and readings. A’Lelia Bundles, great-great-granddaughter and biographer of the trailblazing entrepreneur, activist and educator Madam C.J. Walker, will present a talk at 5:30 p.m. Feb. 19 at UCF’s Live Oak Event Center. While Walker is most known as a pioneer of the modern hair care industry, she also was a philanthropist who supported civil rights causes, women’s economic independence and arts initiatives. Her story will air late this year as a Netflix series starring Octavia Spencer. The ZORA! Festival in Eatonville runs Jan. 26-Feb. 3. To learn more about Hurston and events for UCF’s “Year of Zora” commemoration, visit UCF’s Zora website.